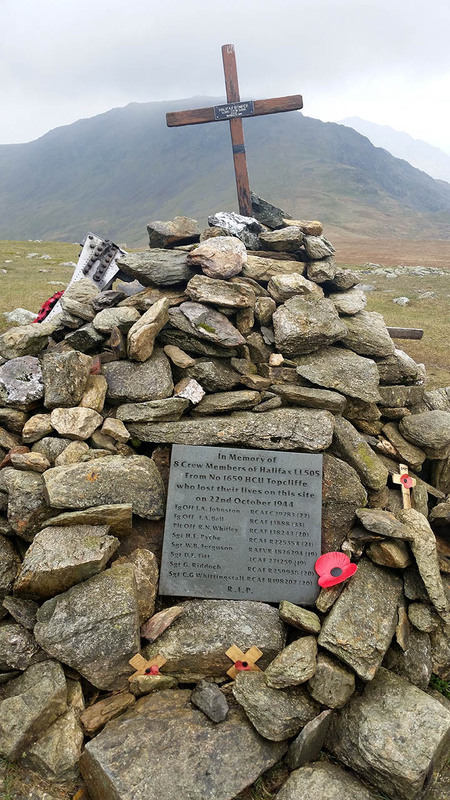 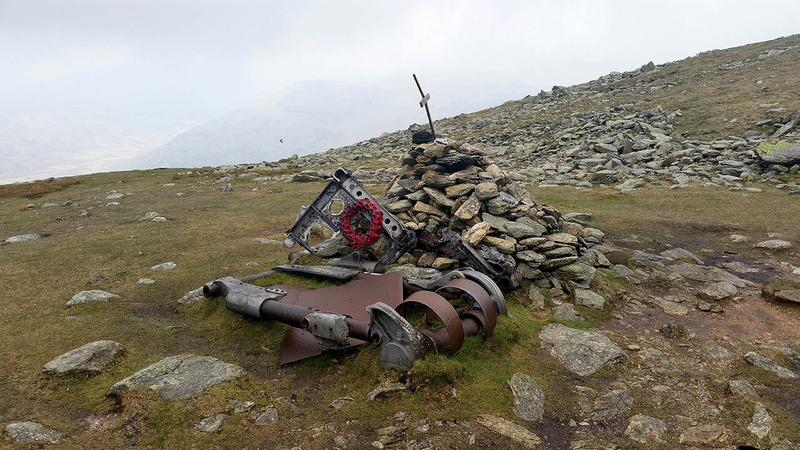 A memorial cairn and wreckage to the crashed Halifax Bomber. 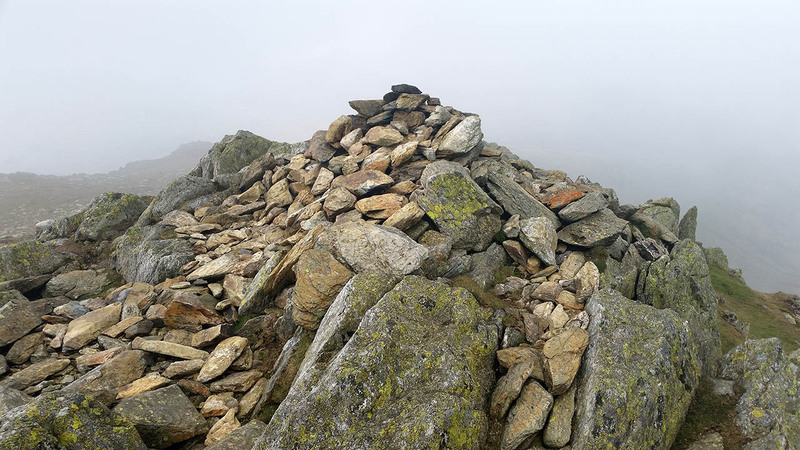 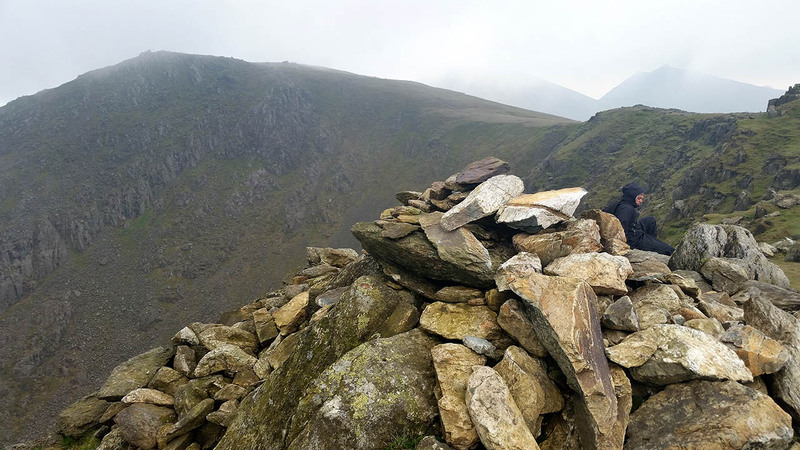 The summit cairn with Swirl How behind. 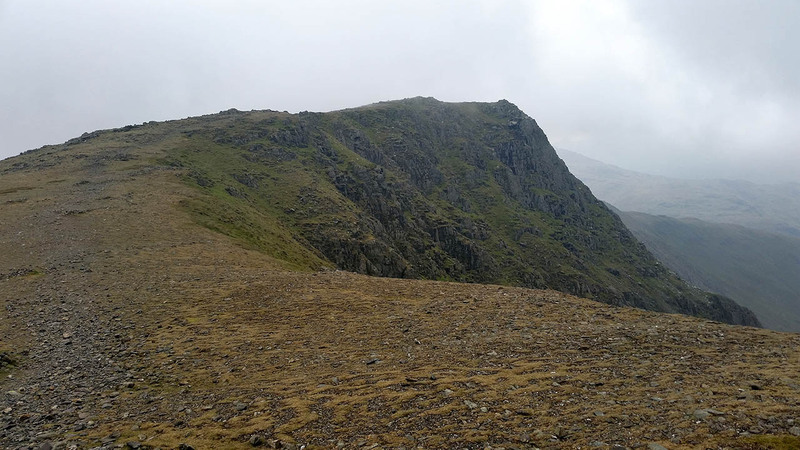 Way in the distance is Dow Crag.